Exceptional by Design, Developed and Supported By a Highly Experienced Engineering Team. Work Force Tracker has been developed and is supported by the engineering team of Rapidsoft Systems Inc., a major IT service and software development company based in Princeton, NJ with offices in USA, India and UAE. Rapidsoft Systems has dedicated teams for mobile and web development as well as for managing other IT services. We are a company with deep technology roots. Rapidsoft Systems' team has developed over 200+ mobile applications and hundreds of other web applications. That combine knowledge has gone in making the Work Force Tracker system. We are not yet another company making field service software. We are passionate about it and are committed to make it the best software because we ourselves use this software for managing our own field service staff. In Work Force Tracker, we have made the software that makes field service smarter, more efficient and more profitable than you can imagine. 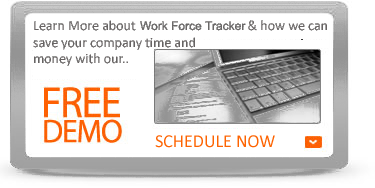 Work Force Tracker is fully cloud based software. Our software lives in the cloud and connects field technicians, companies and customers to provide a simple, yet powerful way to manage all aspects of delivering world-class service experiences. Work Force Tracker is rethinking field service, and delivering cutting edge technology to help companies perfect service delivery, drive revenue and growth, and delight customers along the way. Our mission is to be the go-to application for every field service technician in the world. We make software that customers love. More importantly, we make software that creates amazing service experiences for our customers' customers. And the impact is simple: lower costs, greater efficiency, happier customers and untapped revenue opportunities. Work Force Tracker's field service management software was developed with a specific focus on the needs of key service industries including HVAC, plumbing, electrical, pest control, telecom, construction, and other residential services. Work Force Tracker is specifically designed to improve the efficiency of these types of business with features that include appointment scheduling, automated timesheets, job location mapping, robust reporting and job history functionality. Work Force Tracker is an intuitive field service management solution that helps small to mid-sized businesses efficiently manage their field service operations, drive better business performance and reduce costs. Work Force Tracker automates manual, time-consuming scheduling, invoicing and recordkeeping processes so users gain real-time, end-to-end visibility of their entire field service operations. 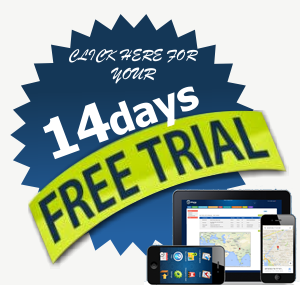 This easy-to-deploy, affordable SaaS solution can be accessed with a web browser or via a mobile app., giving business owners, office workers and field technicians access to critical business information anytime, anywhere. 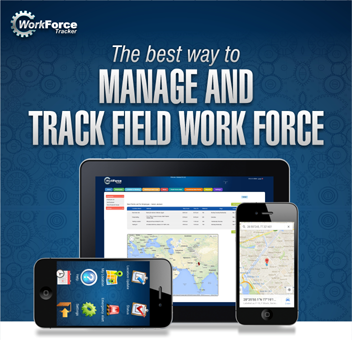 In the fast-paced, dynamic work environments of the field service industry, Work Force Tracker helps businesses locate their field workers, appointments, customers and profits.